Golf Canada together with GameBook is now organizing a 4-week long golf contest where all Canadians are welcome to join. All you have to do is record your scores with the Golf GameBook app or enter a scorecard directly at GameBook website. It might be you who is watching the RBC Canadian Open in late July at Glen Abbey GC from the best VIP seats available. The Road to the RBC Canadian Open offers one lucky winner the golf prize of a lifetime – VIP experience for two at the RBC Canadian Open with a behind the scenes tour and picture with winner. Attractive bi-weekly prizes can also be won – all provided by Golf Canada. The rules are simple: register to GameBook either using the app or online service, and enter your golf score. Every 18-hole round counts and the more you play, the better chance you have to win. 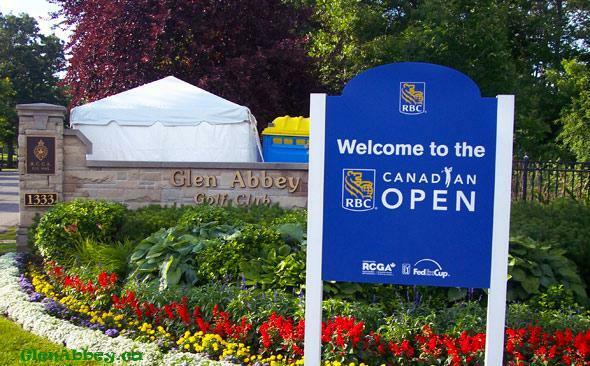 The Road to the RBC Canadian Open starts on Monday June 17th and lasts until July 14th, 2013. “We wanted to offer something new and interesting to our members, and when we heard about Golf GameBook and its possibilities to organize this kind of a huge contest for everybody, the choice was easy. Technology is nowadays playing a bigger role in various aspects of the game, and thanks to smartphones, more and more mobile apps are being developed for the benefit of golfers. Golf Canada wants to be a front-runner in this evolution and we really look forward to working with GameBook and offering something new for all Canadian golfers”, says Scott Simmons, Executive Director of Golf Canada. “Golf GameBook makes golf more exciting and fun for golfers at all levels. Participants in golf events can follow and track scores live directly from their smartphones or online, just as well as their friends and colleagues around the world can do the same. We’re very excited about our cooperation with Golf Canada and can promise, this is something new that Canadian golfers have never experienced before”, says Mikko Rantanen, CEO of GameBook Inc.